There are many advantages to having a backup camera. Backup cameras are not only a cool feature, can be lifesavers as well. The National Highway Traffic Safety Administration (NHTSA) is making backup cameras mandatory, and for good reason. The agency wants to help prevent the 210 fatalities and 15,000 injuries caused each year by back-over vehicle crashes by requiring all vehicles to include standard rearview cameras. Lens size and viewing angle: NHTSA sets a baseline of 130 degrees for the lens size on a rearview camera, but a wide-angle camera lens that can view 180 degrees will give you a much better view. 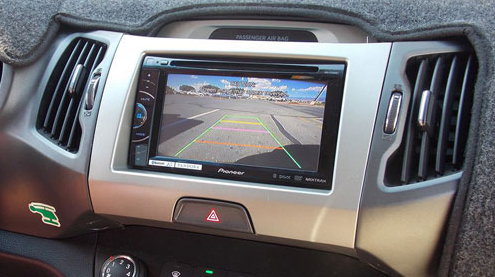 Guidance lines: Some backup camera systems have an overlay of colored lines on the camera’s image that guide you on how close you are to an object behind your car or truck. This lets you know, for example, that if the car gets to the red line on the screen, you’re about to hit the object. Some guidelines move along with your steering wheel to give you a better sense of if you’ll clear that obstacle. While those are the best, even systems with stationary lines are better than systems without any guidelines. Screen location: These are typically located either in-dash or embedded in the rearview mirror. Each approach has its pros and cons: The rearview mirror may offer drivers a vantage point they’re used to, but the visibility may not be as great as on center-mounted in-dash screens, where the images tend to be larger. But dashboard screens require drivers to look down to view the camera and not over their shoulder. Parking sensors: These provide an extra layer of protection against hitting an obstacle, but they tend to be found on high-end cars. They’re generally better at picking up stationary objects like trees and poles, meaning that sometimes they go off when there’s no imminent danger of hitting an obstacle and are less sophisticated than cameras when it comes to detecting moving objects such as a child. Looking for Quality Backup Cameras & Installation Services in the Monmouth County NJ Area? AutoWorks offers and installs quality backup cameras as well as other car audio & electronics services to towns in the Monmouth County area. Service towns include Middletown, Red Bank, Oceanport, Rumson, Little Silver, Marlboro, Freehold, Dayton, Aberdeen, Manalapan, Point Pleasant, Millstone Township, Long Branch, Spring Lake, Holmdel, Shrewsbury, West Long Branch, Fair Haven, and many more. To learn more about our great products and services. contact us today at 732-671-0225 or visit the website. 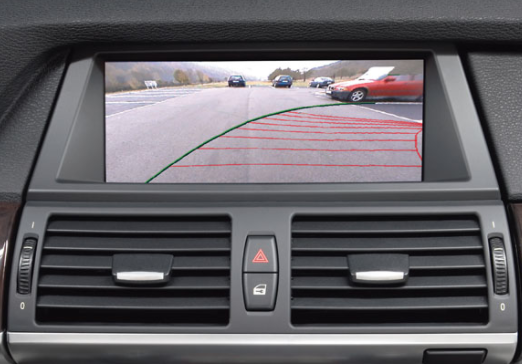 Backup cameras give people an extra set of eyes to help prevent getting into accidents. Here are a few of the top ways that backup cameras can help your safety. Prevention of backing up over someone. 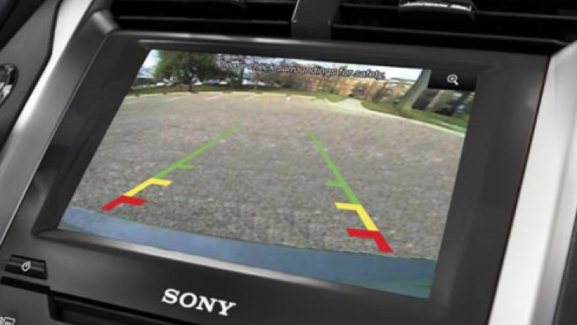 The best safety benefit of a backup camera is the prevention of backing over a pet or child. In larger vehicles and SUVs especially, your blind spot is up to 20 feet behind your vehicle. Backup cameras take care of this issue. Hooking up a trailer. A backup camera also make hooking up to a trailer much safer. The driver can easily navigate their way to the trailer avoiding accidents as they miss the mark or accidentally hurt the person helping them. Parallel parking. A backup camera in your vehicle also help assist with parallel parking by avoiding damaging your vehicle or hurting others as you line your vehicle up to the curb. Looking for Top Quality Backup Cameras & Installation Services Near Eatontown NJ? 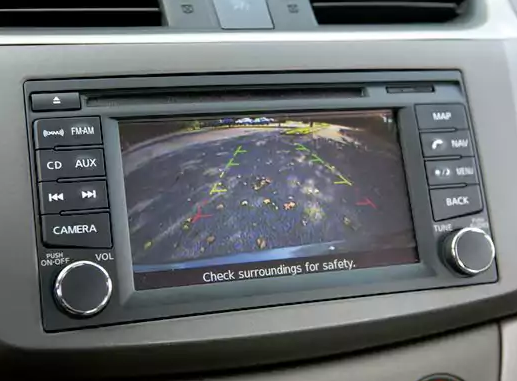 Prevents Backing Up Over Someone – One of the most crucial benefits of a backup cameras is the prevention of backing over a pet or child. In larger vehicles and SUVs especially, without a backup camera your blind spot can be 20 feet behind your vehicle. Getting a backup camera installed will help prevent this from ever happening to you. Hooking up a trailer – A backup camera also makes hooking up to a trailer much easier as well as safer. The driver can easily navigate their way to the trailer avoiding accidents as they miss the mark or accidentally hurt the person helping them. Parallel parking – A backup camera can also help assist with parallel parking by helping drivers avoid damaging their vehicles or others as they line their vehicle up to the curb.